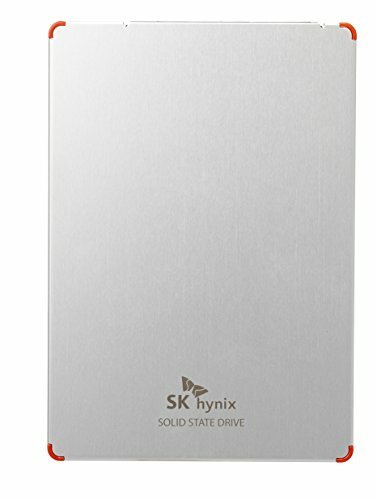 Sk Hynix Sl308 500GB 2.5 inch solid state drive (TLC). capacity: 500GB. Form factor: 2.5" standard. Interface: n/a. Nand Flash: TLC. Performance: sequential read (128KB, typical): up to 560 MB/s; sequential write (128KB, typical): up to 490 MB/s; random read (4KB, typical): up to 100,000 iops; random white (4KB, typical): up to 85,000 iops. Power consumption: active read: 2.3W; active write: 4.5W; idle: 50mW. Shock: operating: 1500G, duration 0.5ms; non-operating: 1500G, duration 0.5ms. Vibration: operating: 20G, 102Khz (frequency); non-operating: 20G, 102Khz (frequency). voltage: 5V 5%. MTBF: 1,500,000 hours. Temperature: 0 degree to 70 degree (operating). thickness: 7.0 mm. Dimensions (wxdxh): 69.85 x 100.00 x 7.00 mm. If you have any questions about this product by SK Hynix, contact us by completing and submitting the form below. If you are looking for a specif part number, please include it with your message.